There’s a new revision in town! 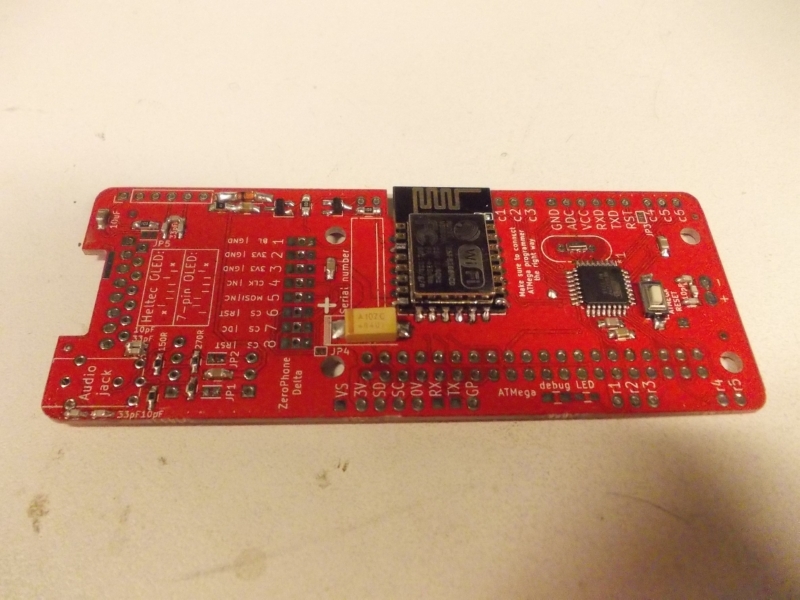 It’s called Delta-B, and it’s supposed to fix all the mistakes I made in the Delta boards - those mistakes mostly concern the additions I made to Delta. 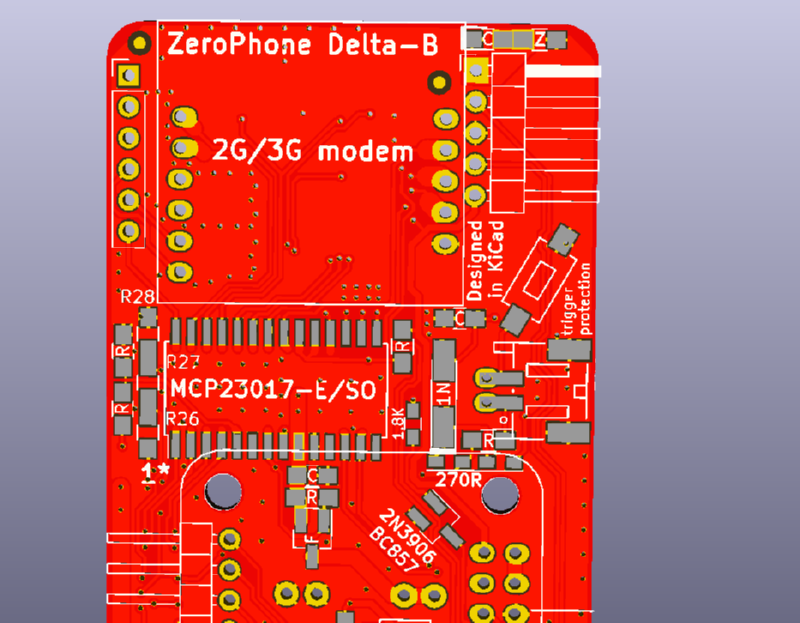 The most significant of those mistakes is the fact that the ID (“HAT”) EEPROM on Delta boards doesn’t work together with the MCP23017 GPIO expander - preventing our software from actually being able to distinguish Gamma hardware and Delta hardware, and that’s a bad idea since those revisions are different enough and both of them are already distributed among contributors. 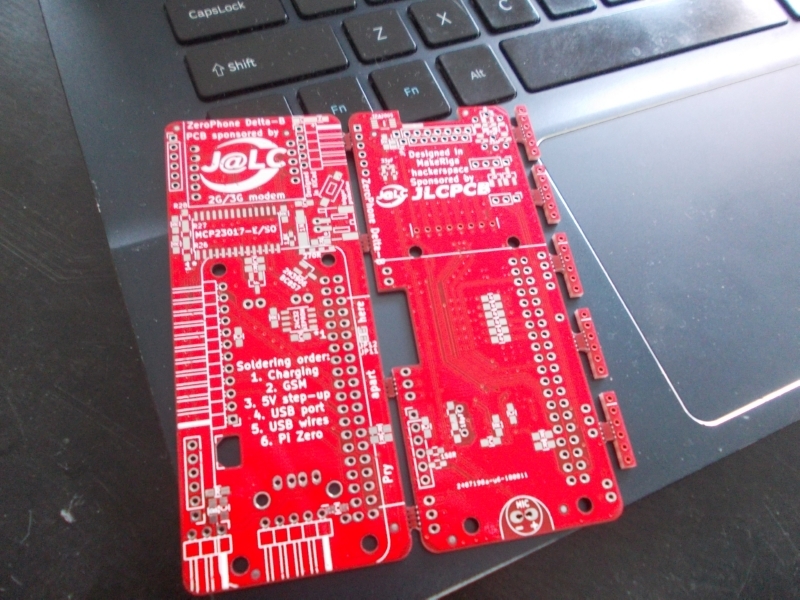 Thankfully, the fixes we made can also be retroactively applied to Delta boards, but they have to be applied manually - adding a PNP transistor and cutting a couple of traces with an Xacto knife. The new revision fixes this, and more mistakes. Now, I’m reworking the Delta boards, so that I can go on pick&placing the other side. While Delta phones are not perfect, they’re working pretty well after fixes are applied, which means I can still send them to reviewers and contributors. This stream is more Europe-centric - it’s 8PM where I am, but that’s only 5PM GMT, so most of the Europe should still be awake. As usual, come watch me work, ask questions, all that.